William Blackett rose to become one of the most successful and prominent merchants in late 17th century Newcastle-upon-Tyne. While not a completely self-made man – his Weardale father had been able to apprentice his sons Christopher, Edward and William to the Company of Merchant Adventurers in Newcastle – Blackett accumulated substantial wealth through trade and moved into lead and coal mining in the 1660s and 1670s. He bought the Dukesfield estate in 1665 and was almost certainly responsible for building the lead smelting mill there, and developing it over the subsequent decade into what was probably the largest such mill in Britain until well into the 18th century. The letters left by his son Michael show that he put in place a management structure capable of operating a large vertically integrated lead business, and its principal features are recognisable in records of a century later. 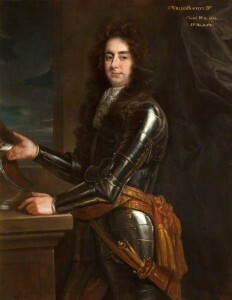 Blackett was sheriff of Newcastle in 1660, mayor in 1666, governor of Newcastle’s Hosteman’s company in 1662-3 and 1667-8. He was MP for the town from 1673 and knighted in the same year. Despite accumulating enough wealth famously to endow ‘two eldest sons’ – Edward, 2nd baronet, and William (see William Blackett II’s biography) – it appears he only moved from the claustrophic Close on the Quayside, close to his wharves and warehouses, to the magnificent Anderson Place on Pilgrim St in 1675, 5 years before his death.